Designed to replace the 1-Series Coupe, the 2-Series Coupe promises to raise the bar in terms of "dynamic ability, aesthetic appeal and emotional allure." 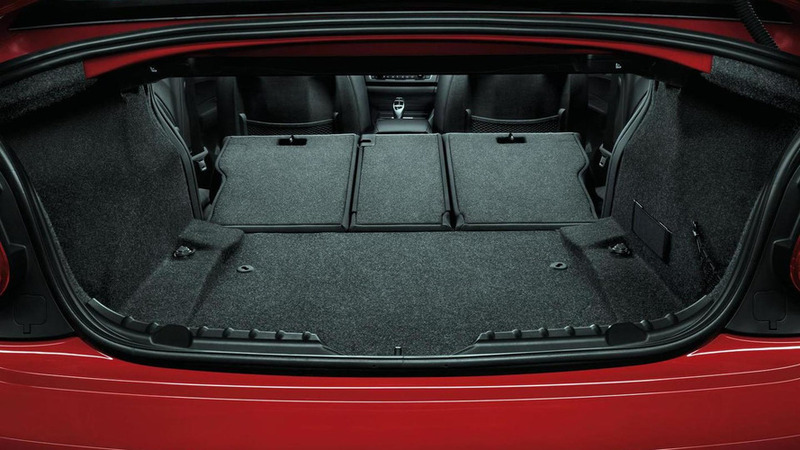 The cabin is heavily influenced by the 1-Series and comes equipped with cloth seats and satin silver trim. Options include Dakota leather upholstery, brushed aluminum or fineline stream wood trim and a 6.5- or 8.8-inch iDrive display. Under the hood, a variety of engines will be available. The 220i has a 2.0-liter TwinPower Turbo four-cylinder that develops 184 HP (135 kW) and 270 Nm (199 lb-ft) of torque. It enables the coupe to accelerate from 0-100 km/h in 7.0 seconds and hit a top speed of up to 235 km/h (146 mph). On the diesel side, the 218d has a 2.0-liter TwinPower Turbo four-cylinder engine that churns out 143 HP (105 kW) and 320 Nm (236 lb-ft) of torque. This allows the car to dash from 0-100 in 8.9 seconds (8.6 seconds with the optional eight-speed automatic) and max out at 213 km/h (132 mph). Likewise, the 220d has a 2.0-literTwinPower Turbo four-cylinder diesel engine with 184 HP (135 kW) and 380 Nm (280 lb-ft) of torque. It enables the coupe to run from 0-100 km/h in 7.2 seconds (7.1 seconds with the optional eight-speed automatic) and top out at 230 km/h. The 225d also uses the 2.0-liter TwinPower Turbo four-cylinder diesel engine but it develops 218 HP (160 kW) and 450 Nm (332 lb-ft) of torque. The extra power allows the model to accelerate from 0-100 km/h in 6.3 seconds and hit a top speed of 242 km/h (150 mph). Lastly, the M235i has a 3.0-liter TwinPower Turbo inline-six that cranks out 326 HP (240 kW) and 450 Nm (322 lb-ft) of torque. It enables the car to run from 0-100 in five seconds (4.8 seconds with the optional eight-speed automatic) and hit a limited top speed of 250 km/h (155 mph). 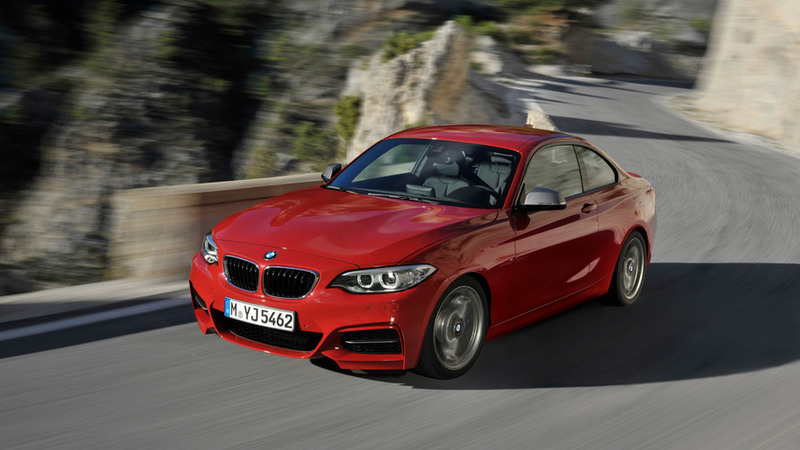 The 2014 BMW 2-Series will go on sale in Germany in March. 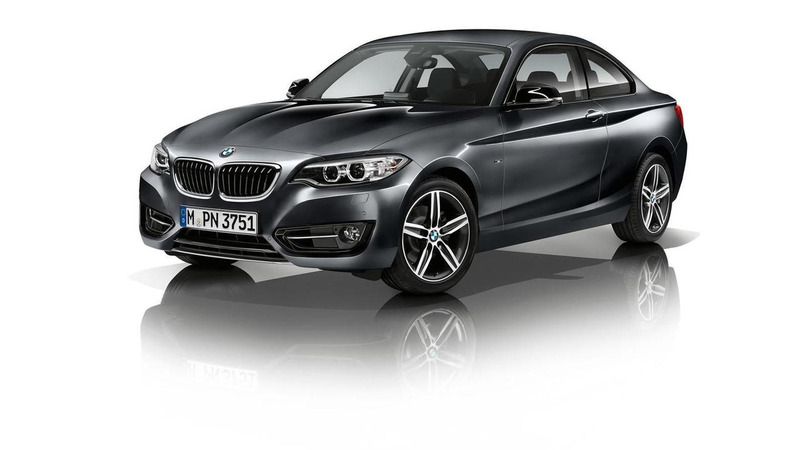 Update: BMW USA has announced the 228i will be priced from $33,025 while the M235i will retail for $44,025.